CALL US AT 518-930-2074 TO GET STARTED TODAY! 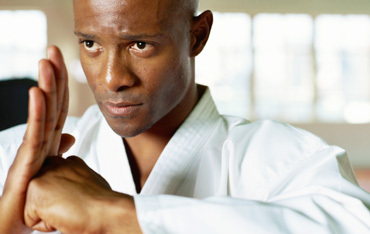 At Rotterdam Martial Arts, "Welcome" is not just something we say; it's part of our training philosophy. Our goal is to make our student feel at ease and comfortable at our school. Our school motto, “Our School Motto, “Confidence through Achievement” is designed so our students increase in confidence as they develop at their own pace. Our students grow in confidence with each new belt earned, secure in the knowledge that they are performing the requirements of each belt from White Belt through Black Belt and beyond. Our parent school, Capital Northeast Martial Arts, opened in 1978. 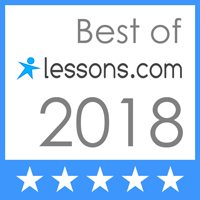 We are currently the longest running martial arts school in the Town of Guilderland. 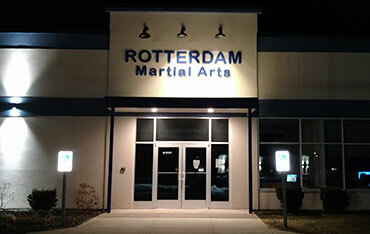 Rotterdam Martial Arts, our 2nd location, opened in January 2015. Located in Coldbrook Plaza at 2696 Hamburg St. in Rotterdam, NY, the school is 3,000 square feet and consists of a pro shop, visitor lobby, and training area. 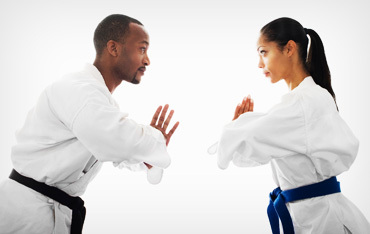 Of the 3,000 square feet, 1,600 square feet is dedicated to our matted training space, providing our students with a safe area to train in Tae Kwon Do and our Self Defense system.